FinTech is reshaping our economy and providing new and exciting opportunities for consumers and businesses. The FinTech ecosystem is becoming increasingly global and Australia is taking action to ensure our FinTech sector can remain at the forefront of international developments. 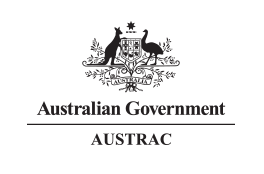 In 2016 the Government established the FinTech Advisory Group, a group made up of prominent members of the FinTech sector to advise the Government on policy priorities, and released the Backing Australian FinTech statement which set out the Government’s priorities and plan for growing Australia’s FinTech sector. The Government has been methodically taking action on those FinTech priorities to cement Australia’s position as a world leader in FinTech. We believe the health, strength and stability of our financial sector will be an important enabler of our FinTech agenda. The UK-Australia FinTech Bridge, signed by the Treasurer, the Hon Scott Morrison MP, and UK Chancellor of the Exchequer, the Rt Hon Philip Hammond MP, at the International FinTech Conference in London on 22 March 2018, is a crucial step in strengthening ties between two leading FinTech hubs. The FinTech Bridge will deepen collaboration between governments, regulators, and industry bodies; while also supporting improved access for Australian FinTech firms to the UK market. Collaboration between Australian and UK governments to identify emerging FinTech trends and policy issues, enabling better policy positions. Facilitating the entry of FinTech start-ups into each jurisdiction’s regulatory sandbox. Exploring opportunities for quicker licence processing for FinTech firms that are already licenced or authorised in the other country. Joint projects to identify shared approaches and identify links between Australia and the UK. Providing bespoke advice and mentorship to FinTech firms looking to expand into the UK or Australia. Providing a ‘one stop shop service’ to enable firms to access legal, regulatory and practical advice about setting up in a new market. Facilitating matchmaking events, meetings and networking opportunities for companies with potential partnership prospects. 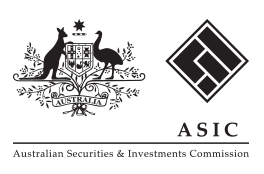 Introductions to investors assisted by specialist teams at Austrade and DIT. Promoting engagement between Australian and UK FinTech sector bodies, led by FinTech Australia and the UK’s Innovate Finance, to discuss collaboration opportunities between FinTech businesses. FinTech firms who are interested in accessing support available under the FinTech Bridge can contact the following agencies for advice.